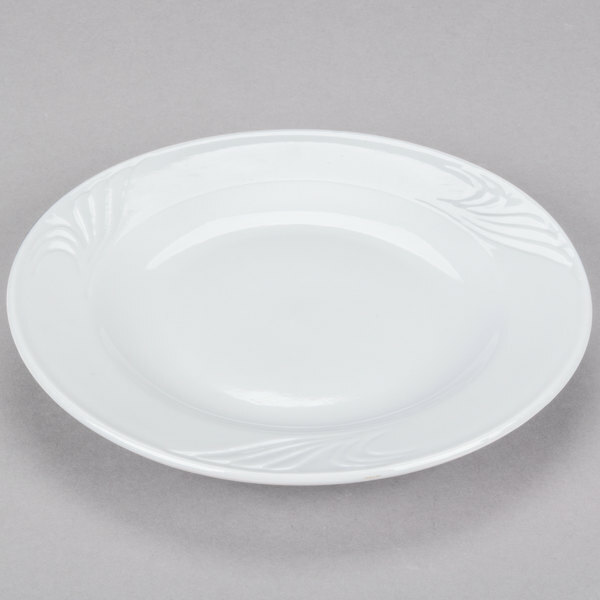 Serve your guests their favorite appetizers, side dishes, or desserts on this stunning, CAC RSV-6 super white Roosevelt 6 1/4" porcelain plate. 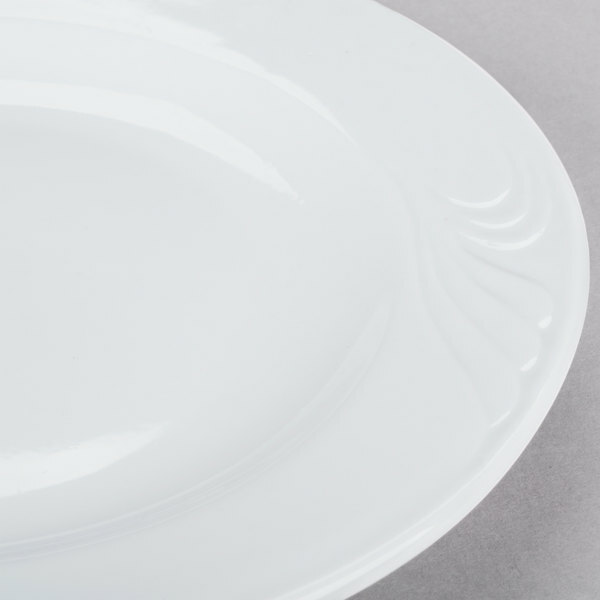 It's embellished with elegant sculpting along its wide rim, creating the appearance of soft brush strokes on an open canvas. 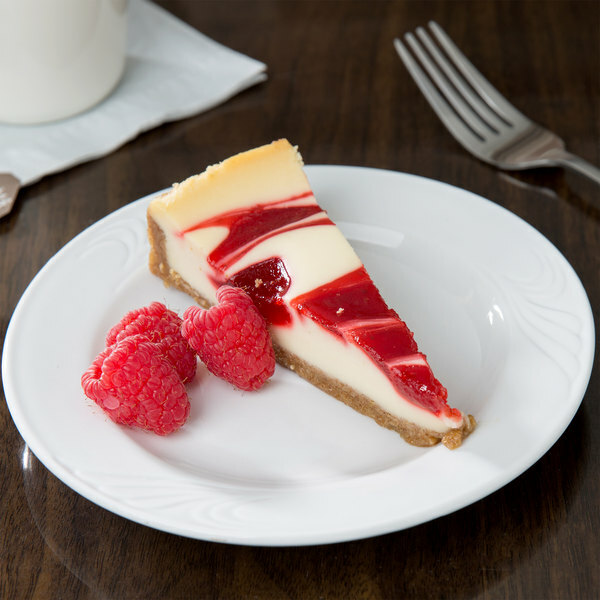 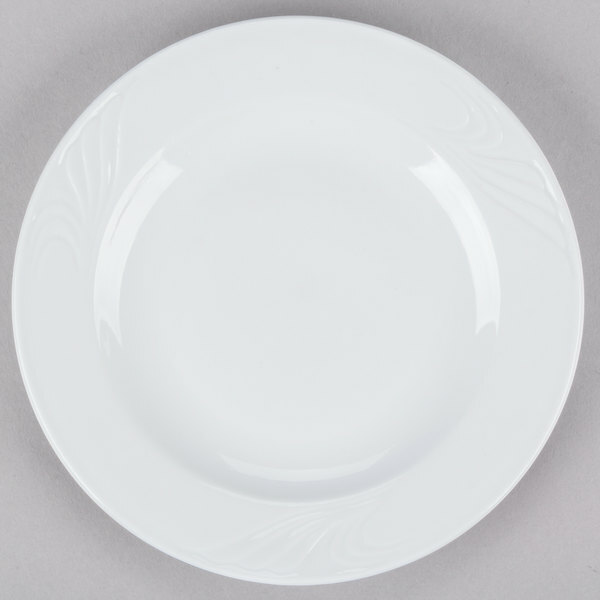 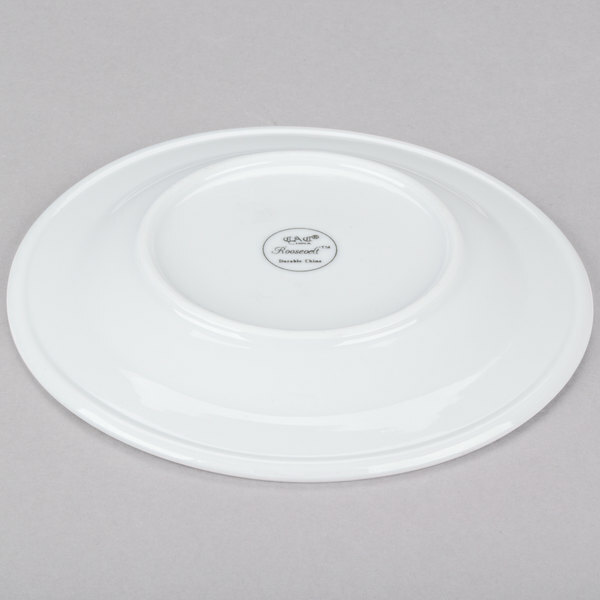 This Roosevelt porcelain plate is perfect for your hotel, restaurant, or catered event.